One of my favorite things to do is give gifts. I love searching for fun gifts for my kids. I have compiled a list of tried and true gifts for 5 year old girls. These are great ideas for birthdays, Christmas, expensive or inexpensive, you will find it all in this list. Enjoy these years when your little girl is still young! 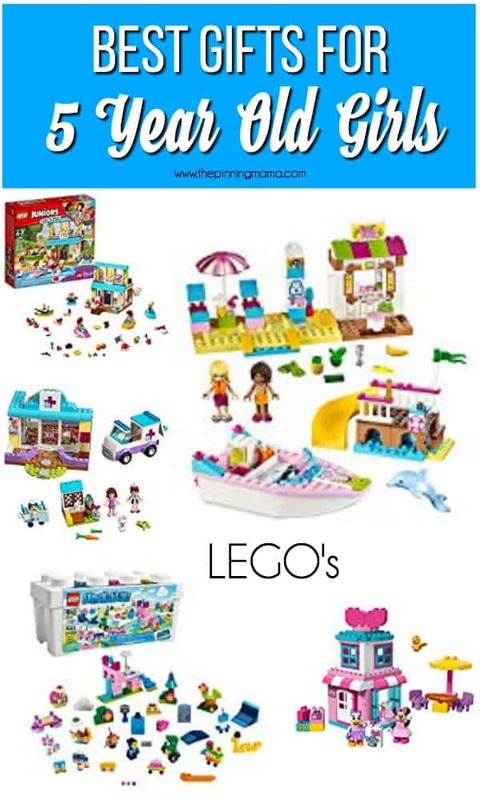 I hope you enjoy the BEST list of gifts for 5 year old girls! I really love the age of 5. My little girl is into everything princess and fantasy. I love when they start to learn life lessons on their own and develop into the girl they are eventually going to become. 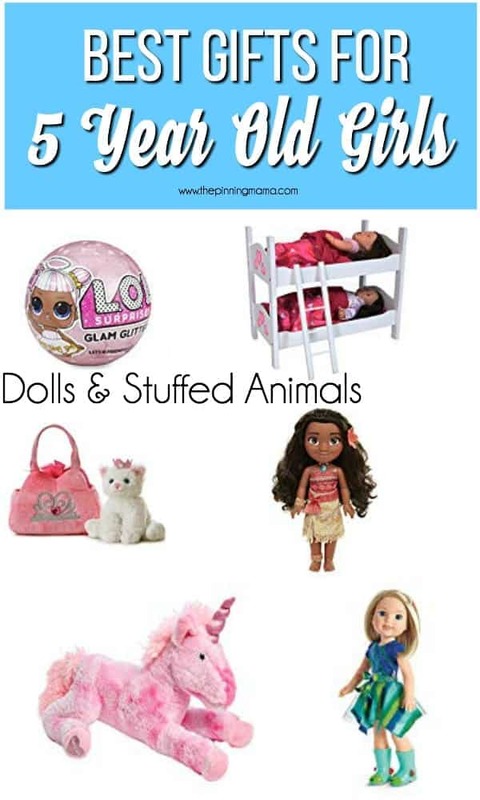 I have searched high and low and gathered great list ideas for your 5 year old girl. I hope you enjoy celebrating the 5 year old girl in your life with some of these creative gift ideas! My daughter loves everything to do with art & crafts. It seems like all she wants to do is craft the day away. I do cringe a little when I hear the word crafts because they are a bit messy, but I do love the joy that comes on their face when a project is finished. I love seeing her little mind working and creating beautiful projects. 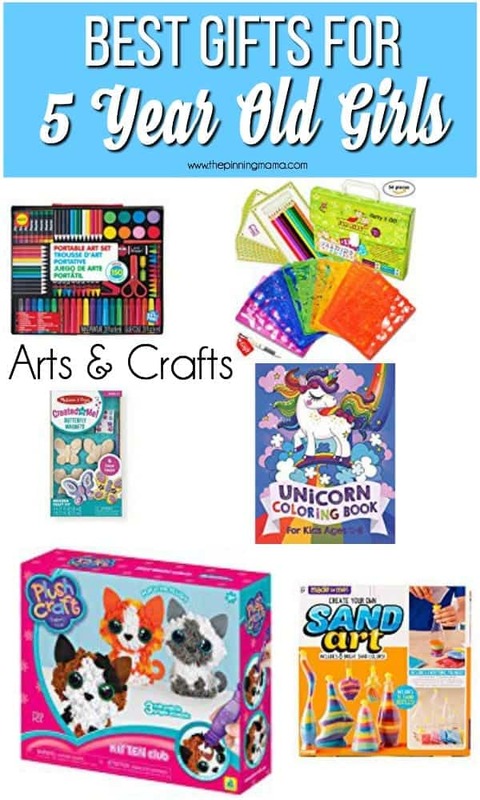 We have tried all of these products and each of them are special and fun in their own way. It seems like all my little girl wants is stuffed animals and she is attached to every single one of them. She loves them all in special ways. I have listed for you some of her favorite animals and dolls. My daughter also loves her dolls. She takes care of each one of them as if she was their mother. It’s fun to see those mother instinct display at such a young age. LEGO’s are one of our favorite things in our house. My kids play with their lego sets everyday. Trust me when I say, you will not go wrong lego sets of any kind. These are also great because the price can range from inexpensive for a small set, to something worthy of a big gift for a larger set. These are also great ideas to hand over to Grandma and Grandpa, aunts, uncles and friends since they are easy to find and come in a variety of price points. If your daughter is a girly girl like mine, she like anything to do with beauty. She is just starting to love headbands, bows and anything that sparkles. She also loves fun necklaces and earrings. My daughter got her ears pierced when she turned 5, and has loved buying earrings ever since. Another great idea is a gift card to Claires. That way your little one can go and pick out whatever she wants. My daughter asks for a gift card form Claires every year. I have created a list of electronics expensive to inexpensive for you. 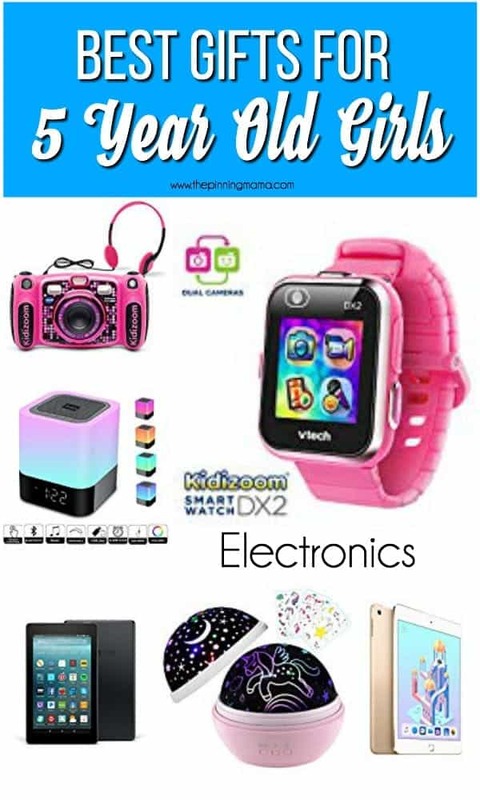 One of my daughters favorite things on this list is her bluetooth speaker. She loves to play music in her room and dance around. Another great idea on this list is the iPad mini. I know they are a little expensive but they are worth it. I like to download educational games for my kids to learn on while they are out of school. I also like to have them in the car, or on the airplane. It makes my life a little bit easier. Playing games with my kids is one of my favorite things to do. 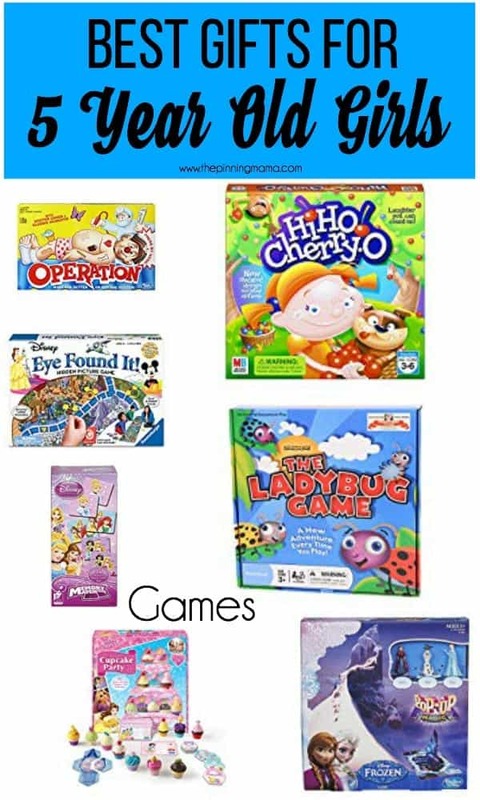 Now that my kids are getting a little older, games are becoming a little more fun to play. Games are a great way to bing everyone together. Here are a few of our favorites. I love when a gift gets my kids outside. One of my favorite things on this list is the bike. We really love riding bikes as a family. When the weather starts to cool off, we love going outside together. 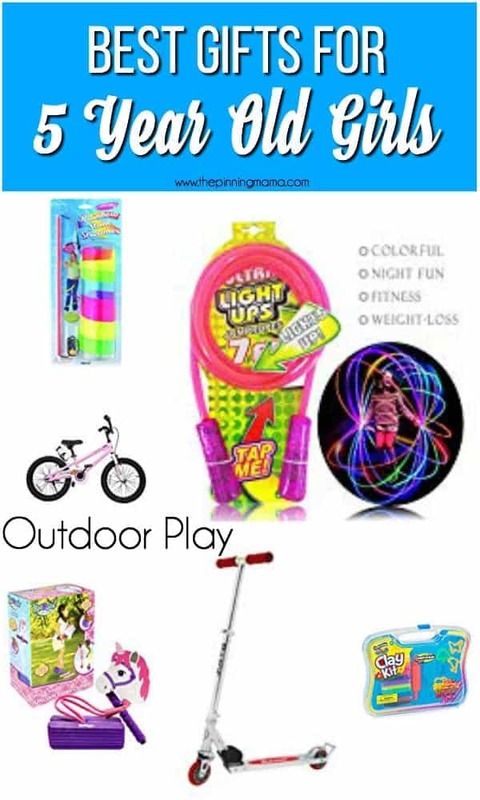 A few other great items on this list are hula hoops, rainbow streamers, and archery set. Whether it’s for their birthday or Christmas, I love watching their faces as they open their presents. 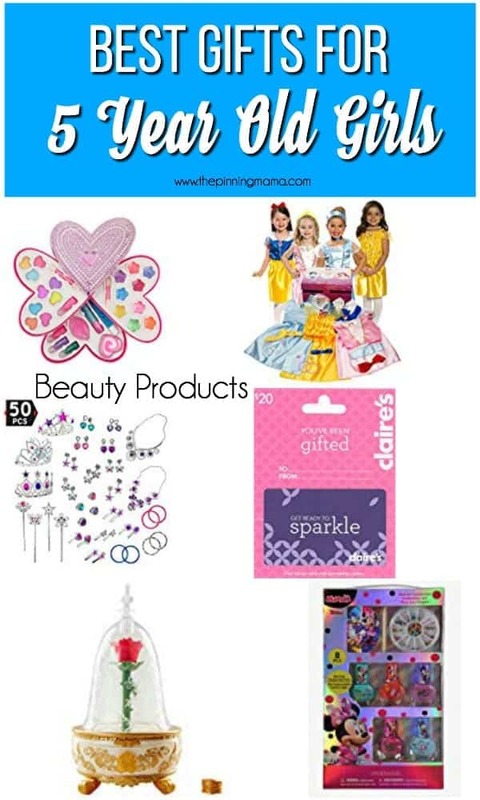 I hope you have found some inspiration in this Best Gifts for 5 Year Old Girls post. Comment below if you have any additional gift ideas, I love to hear from my readers.